The Australian Government and the US State of Michigan have signed a memorandum of understanding to collaborate on high-tech vehicle and road systems to improve road safety. The signing took place at the University of Melbourne which has played a key role in advancing the transport technology agreement between the governments of Australia and Michigan, primarily through AIMES (Australian Integrated Multimodal EcoSystem), of which ITS Australia is an active supporter. 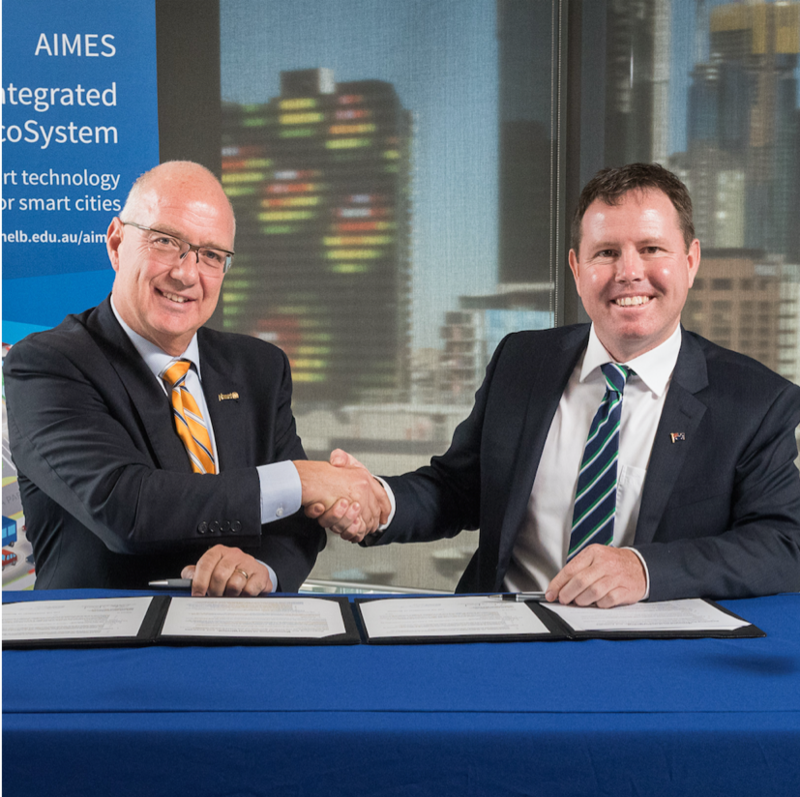 The MOU supports links between AIMES, home to a live test bed on Melbourne city streets, and Michigan’s Mcity and American Center for Mobility off-road facilities that the partners say will be highly beneficial in progressing advancement in this field. The MoU was signed by The Hon. Andrew Broad, Assistant Minister to the Deputy Prime Minister (pictured right), and Kirk Steudle, Director Michigan Department of Transport (pictured left). Kirk Steudle will be keynote speaker at the ITS (UK) Summit in Bristol in November. Find out more at www.itssummit.co.uk.